When I first started looking for a new trainer, the aim was to find someone that had the expertise to fit my goals. 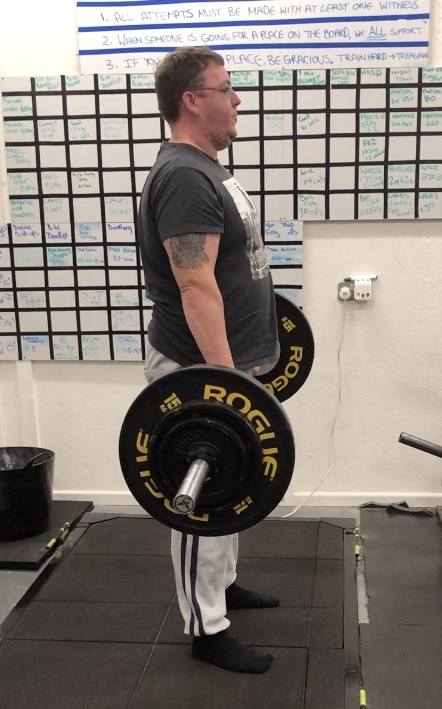 After living with a back injury for several years my goals were to become pain free, medication free and find my confidence in a gym setting again. Not only have I achieved these goals but I have achieved them in a supportive environment that Andy has created. a community in which everyone is encouraged and all achievements are celebrated. I’m currently training through my pregnancy which has focused on maintaining current strength and fitness level which has been beneficial. Now with new goals to aim for after the pregnancy, I look forward to fulfilling them with Apocalypse Training Systems. I started training at the Apocalypse gym in June 2018. I had been a member of gyms before but I felt that I needed something more structured & also exercises that would help my injured knee. After my initial consultation with Andy, I started training on a twice a week basis. I was given exercises to strengthen the muscle around my knee as well as weight exercises to improve my strength and overall fitness. I also made a note of my eating habits which although not great at the time have now improved as I am on a more structured diet. Although I do occasionally lapse & have a Wetherspoons big brekkie! Andy is very good at giving exercises for specific injuries and joint pains, & also changes the workouts every four weeks, so I am always doing something new & don’t get bored. Now seven months on my knee is much improved & I am also feeling stronger & looking leaner (according to the wife, anyway!) There is always a good atmosphere at the gym, the background music is excellent (most of the time) and everybody is friendly and helpful. I really look forward to training after a hard day at work and I even occasionally turn up on a Sunday morning! I would recommend Andy and the Apocalypse gym to anybody looking for good, structured, worthwhile training. I had previously played lots of Rugby and was in the military for a number of years. Needless to say this had a profound effect on my neck and back. I’d also stopped training due to pain. After trying a chiropractor and physio I decided to do some functional training and Apocalypse Training was recommended to me 6 months ago. During the initial assessments Andy stripped away all weights and added a lot of rehabilitation exercises. Our main focus was on movement without pain. As my form and pain improved we have gradually added weight into my programme and now I’m lifting the heavy weights, pain free! Although out of my comfort zone, I have taken regular progress pictures and can really see the complete change in my posture and body composition. As we go forward Andy has tailored my training programme for less one-to-one time and more online coaching and always remains flexible with my busy schedule. He makes time to reply to messages and through the app he keeps track of my training and progress. We continue to change the programme on a regular basis to keep things fresh and are still seeing improvements! I've been at apocalypse training for around 4 months now. I use the group training sessions. It's great to train with like minded people and Andy is always on hand with pointers and tips it may as well be a 1 to 1 session. The app is great to work with and the programs are diverse and interesting. The best think about the place is the people that go a real team spirit is in place and everyone keen to help you and happy to see you succeed. I recommend this gym to anyone serious about training and not working out. I started training with Andy in 2015. I’ve progressed in so many ways, strength, mobility, fitness and confidence. My entire body shape changed and I have become a little less focused on what the scales say. The gym has a great atmosphere and I look forward to every session. Andy’s knowledge, support and passion is exceptional, he is a true credit to the industry. I have trained with Andy now for 2 years, I can easily raise my arms above my head, no pain. I have my mobility back and move freely. I have also achieved a personal best by dead lifting 100lb. I am in my 70th year, and to get all this back at my age has given me a new lease of life. I have been training with Andy for about two years now and can highly recommend him. Since training with him, my strength and fitness has increased.. Along with my confidence to just go into the gym and get on with my plan as I am now much more knowledgeable. I now (finally) don't go off what the scales say, just how I am feeling in myself. Andy also trained me through my last pregnancy and csection and was so helpful and patient with me.. I can not thank him enough for his help! 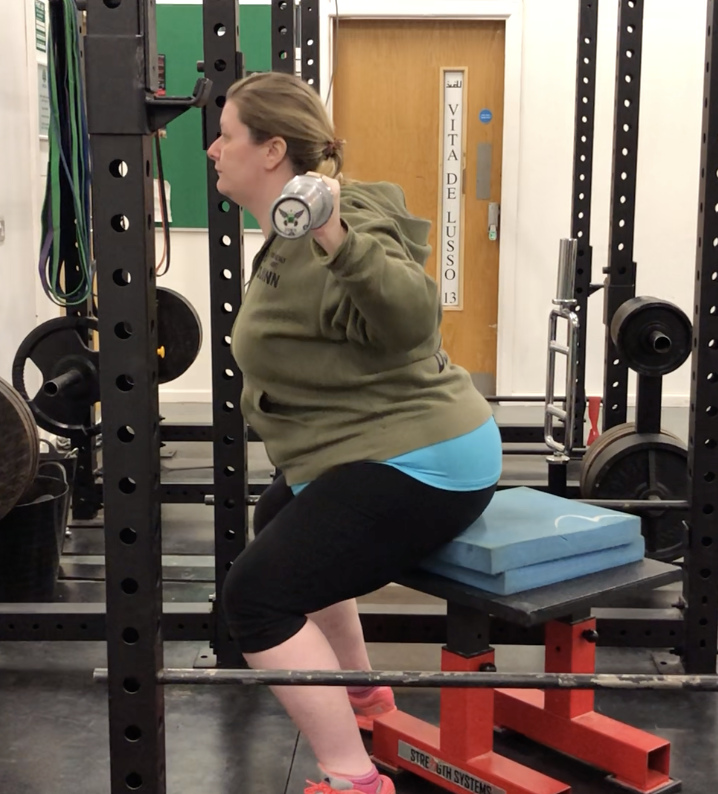 As a busy mum of three Andy knows that sometimes life gets in the way of me always being able to commit to getting to the gym but he is very accommodating with me and adapts my plan/timetable so I can always make sure I get my workouts in.. even at home! I chose to start training with Andy from a recommendation . I found him to instantly personalise your training and concentrate on important aspects such as posture and breath control. I had poor posture and had previously trained elsewhere this had not been highlighted or corrected. Andy targets my posture constantly to ensure my form is accurate. This has had a huge impact on my training and strength. I would highly recommend him. He is also very approachable and friendly which makes training fun. I first experienced Andy’s coaching in January 2018 when I signed up for a 30 day challenge. This was not about a quick fix but a lifestyle change, consistency & routine within my daily busy life which suited me. The biggest success was that Andy encouraged active rest days, slight changes to diet and the exercises were achievable which were all underpinned with his full support. I had amazing results during my first 30 days and now 6 months later strength training is part of my routine with 3 trips per week to the gym & being consistent with the exercises Andy introduced me to. I’m fitter and healthier and would recommend his services to anyone who wants to make changes with longevity. I joined TeamApoc a couple of weeks ago after my husband recommended it to me. 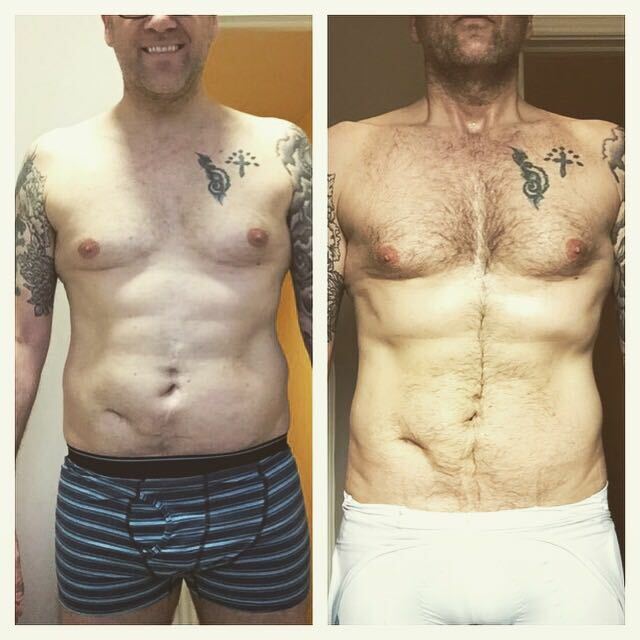 I had been following Andy's posts for a while and was impressed with the work going on, however I was sceptical to join as I had been a member at numerous gyms and 'paid but never played'! I didn't like the atmosphere, found it boring and was never sure what I was doing was right for me. Andy has provided a bespoke programme tailored to my goals and capabilities. He has adapted/modified exercises to ensure that I can both train and stay physically well as I suffer with POTS and have numerous injuries. The support offered in-house by Ben is also a major plus point. The ability to log and track my progress each session, update personal data and follow food plans using an app on my mobile is fantastic. 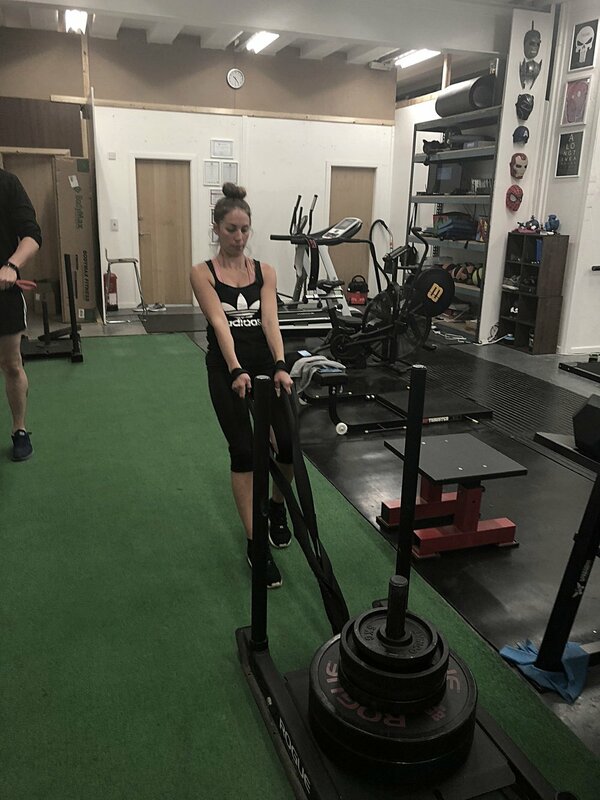 The level of knowledge and expertise of both Andy and Ben as well as the actual gym setting is just first class and I feel at ease, comfortable and eager to train. I started with Andy 3 years ago, I wanted to get myself fit and was struggling to lose weight. I also suffered with a bad back. Initially Andy spent a lot of time focusing on my posture, which in turn eased my back pain. Now I no longer suffer. Anyone thinking lifting weights will make you bulky don’t listen. No age limits either. It’s the best thing I’ve ever done, and it helps me clear my mind from everyday stresses!!! Great vibe, which supports in hitting your goals whether that’s a personal one or a goal with the weights. I've been with Andy now for two years (three times weekly), I signed up for born survivor because I was turning into a couch potato and needed some guidance, I've known Andy for about 25 years so thought it may be a bit uncomfortable but it wasn't one bit, his manner and approach to training is the best i've encountered. At first I was a bit dubious about the diet cause I was eating a lot more than I was used to, but three months down the line I've lost 1 stone 2lb and gained muscle in places that I didn't know I had muscles, now people are starting to notice the weight loss and muscle definition, it makes me happy and determined to train more. i've got the excerise and gym buzz back again �. thanks very much for everything you have done for me since my spinal operation . When I first came to see you I couldn’t walk very well and couldn’t get down onto the floor . When we started, it was very basic leg movements and breathing . I can move freely and I doing more stretching and lifting.